Ridge Runner Brown Parquet Trapper Pocket Knife - 3Cr13 Stainless Steel Blade, Pakkawood Handle Scales, Nickel Silver Bolsters | BUDK.com - Knives & Swords At The Lowest Prices! 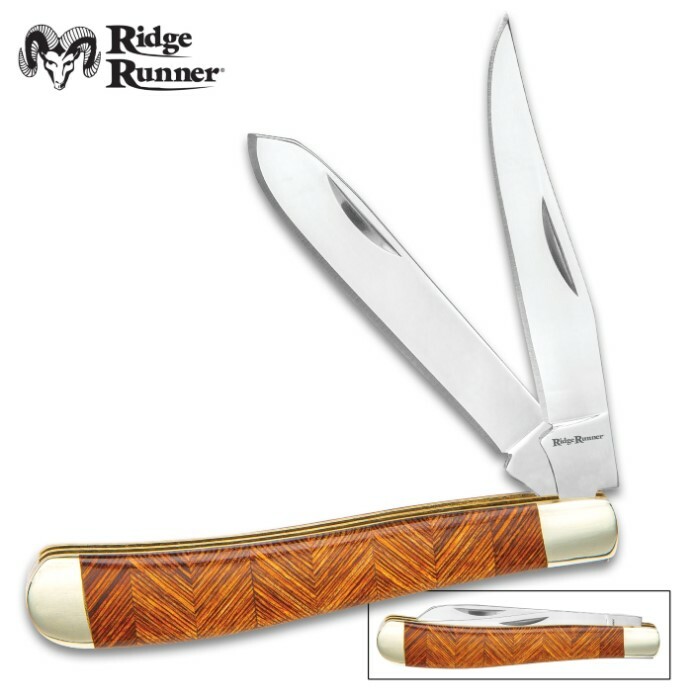 The Ridge Runner Brown Parquet Trapper Pocket Knife is a beautiful trapper pocket knife that is not only the epitome of artistry in wood but also makes a very capable everyday carry knife. The keenly sharp 3Cr13 stainless steel spey and clip point blades are complemented by polished nickel silver bolsters and a brass liner. A brown parquet-style pakkawood handle scale is on one side of the knife and a woodgrain pakkawood scale is on the other side. 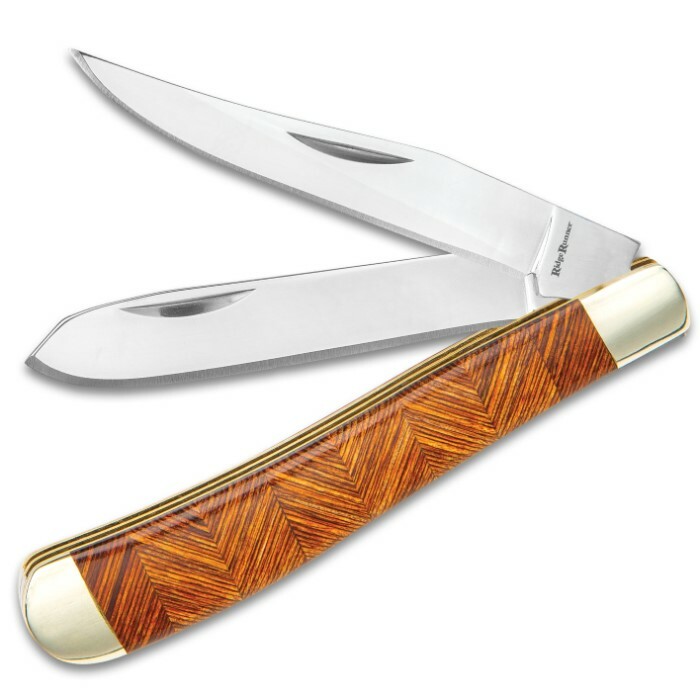 The rich, smooth trapper pocket knife is 3 3/4” overall, when closed, and a nail nick on each blade makes them easy to access. 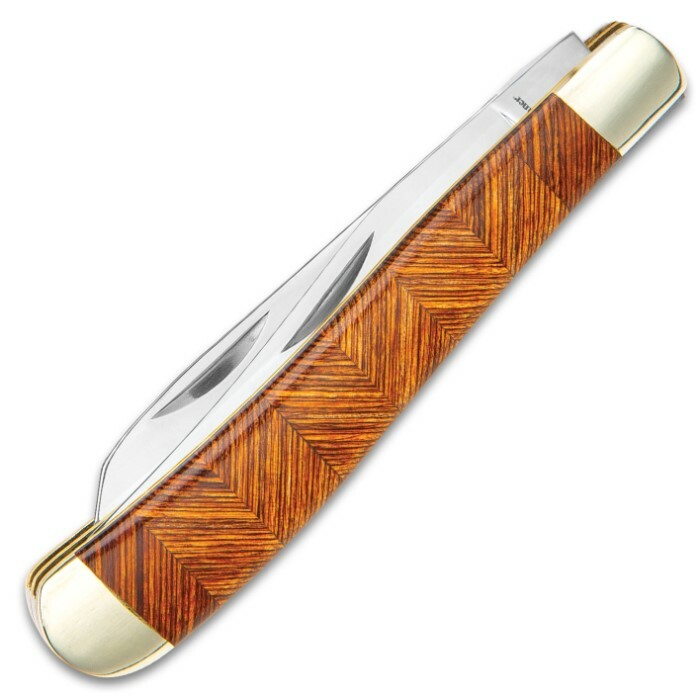 Folks, this exceptional EDC will go fast, so make sure you are one of the lucky ones who gets it!